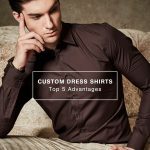 Since conception iTailor has had one perpetual goal; to consistently strive to produce the world’s highest quality custom made clothing at the most affordable prices! Our commitment to excellence, with over 45 years of bespoke traditions, has led us to be the World’s Leading Online tailor. 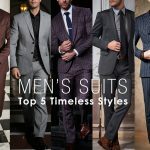 As experts to all things related to custom-made clothing we are here to inform you why men’s custom suits don’t cost anywhere near what you think, why off the rack suits often don’t “just cut it”, and why our men’s custom suit quality is second to none. 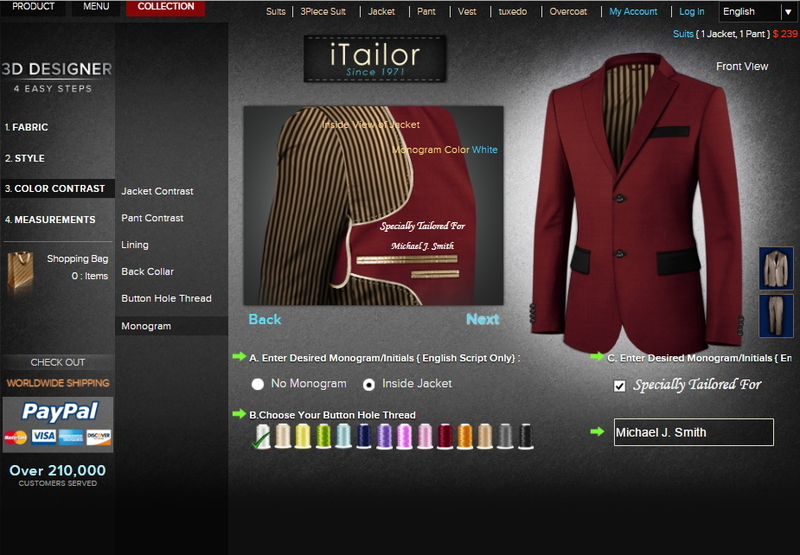 You will actually love owning custom made suits once you know more, so let’s get started! There are countless ways to address this but we are going to map it out in what we feel is the most beneficial. Here’s why having a custom suit is much less expensive than you thought, a much better option than “off the rack suits”, and finally why you want it done by iTailor. The first thing that probably comes to your mind when someone says “men’s custom suits” is the price tag. I know it might be extremely difficult to believe but our men’s custom suits, which are exquisitely hand-tailored, range from only $159-$329! These are high quality custom tailored fabrics specifically cut for your body from raw fabric, and at a price still less than many off the rack suits. Now, how can we offer these prices, whilst maintaining bespoke standards? Well, simply because, iTailor is the world’s largest factory-direct custom clothing brand. What does that mean? That means the suits are made here and shipped directly to you. Every single step is done in–house, the fabric is ours and we cut it specifically to your given measurements. Fuse it, steam and press it, pack it, and then off it ships to you. Most companies have a few other steps in their process with other companies, aka “middle-men” this of course drives your end cost. We on the other hand sell directly to the consumer. That is what factory direct means and why our price is the lowest guaranteed price for a custom suit and any custom clothing we produce in the world. Why spend thousands when you can spend hundreds for excellent fabric quality, nearly 45 years of experience, and certified master tailors making your tailor made suits? Next let’s talk about the main reason custom suits are superior. Think for a second or two what the words “custom” and “fit” mean separately. Now think of their meaning together. That is why men’s suits that are custom fitted have a superior fit. You could be one who might think men’s suits that are “off the rack” are fine, and that’s OK you’re entitled to that thought. Unfortunately, we also know you’ve never tried a custom made suit. Trust us when we say if there wasn’t a very refined level of suiting in custom made suits we wouldn’t be able to sustain business since 1971. But lucky for us, and you, there is. So trust us on this one. Whether you’re looking for a less baggy pant leg, more room in your seat, or want tighter fitting cuffs, everything is able to be custom designed with custom measurements. We are so certain that you will love your custom suit that we have the industry’s only (Global Guarantee). In short, if you’re not happy with it, a full refund is issued. It’s as simple as that. We don’t want our customers purchasing what they wouldn’t wear. When it comes to a men’s suit off the rack there isn’t much you can do regarding its design. The lapel style is what you get, the pattern or fabric it has is what you get, and unfortunately fellas the list continues. 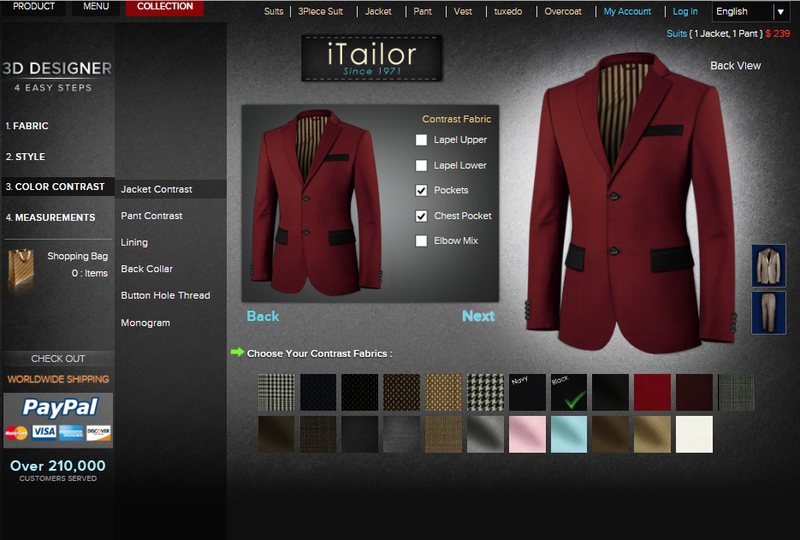 Our men’s custom suits design options are almost limitless. We have nearly 300 fabric and pattern options (way more than you will find in any department store/tailor shop), we let you choose whether you want peak, notch, rounded notch, or shawl lapels, pocket placement, pocket angles, the cut on the bottom of your jacket, the number of sleeve buttons (functional buttons), back vents, pant styles like slim, regular or flared, pleat style, belt loops, pant cuffs, contrast fabrics, monogramming and so much more. Your suits design is literally at your fingertips with us and these design options you cannot alter in any off the rack men’s suits, nor do many tailor shops offer the ability either. This is why we know our design options set the industry standard in men’s custom suits. If you want to spend less of your hard earned money; look sharper than anyone in the office, at your friend’s wedding, church, or any event for that matter… Design your own suits step by step and have them custom cut/tailored for you… Have a company with nearly half a century of experience working for you, and have the opportunity to be dressed in fabrics no one in your city will have. You work hard, let your clothes work just as hard for you. Now you know the benefits: stretch your funds, and get the best fit, style, and fabric quality for the best price in the world. If you’re looking for more information please let us know in the comments below what further insights could help you. For nearly 45 years we’ve been constructing men’s custom suits, aka made to measure, bespoke, and tailor made suits. In that time we have seen trends come and go, but the one thing that remains the same is our love for what we do and who we do it for. It is said one cannot attain success in anything one is not passionate about; our passion is our customer. After all, without you we have nothing to customize. It starts and ends with you. That’s it this week, if you liked what you read or have any questions please feel free to let us know and comment below! If you’d like to design your own custom suit from nearly 300 fabric options click here and start designing your men’s custom suits today! Don’t forget to subscribe to our newsletter below for free company updates and our weekly sales on men’s custom suits, shirts, luxury designer shoes, and more!